Taipan | Flickr - Photo Sharing! 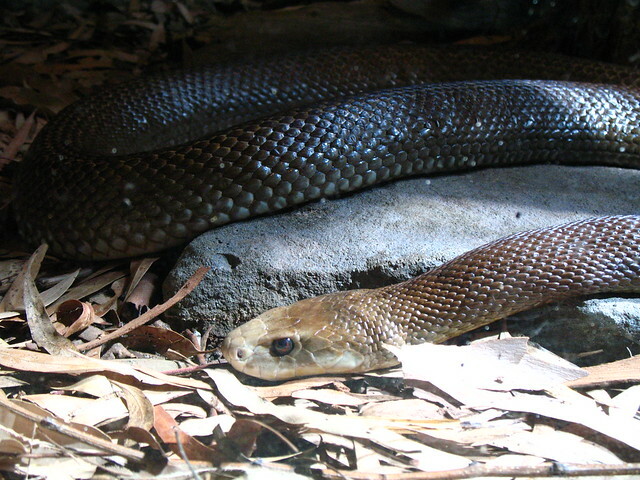 This docile creature, dear friends, is a Coastal Taipan - it grows up to 2.8 metres long, is very fast, and is the second most venomous snake in Australia. It would not be a bad idea to start running if you should happen to meet one. Taronga Zoo, from behind a nice solid pane of glass. bilder2blogg, and 1 other people added this photo to their favorites. Please join our group worldofsnakes and add your image.